After a couple of weeks of pure indulgence and giving in to too many glasses of prosecco, bowls of chips and the contents of the treat cupboard in my kitchen, it was high time I said ‘enough was enough’ and treated my body to some goodness in form of Vincent Kitchen. Handily located on Bold Street, Vincent Kitchen is just the place to head for if you want to go out for a meal but edge towards the healthier side when ordering. Thanks to its Asian-influenced menu and specialising in bowl food, you can work your way along the line to create a bespoke bowl exactly to your taste. Each of the bowls are gluten, wheat and dairy-free so if you’ve got allergies, you’re catered for. So, if you’re wondering what bowl food is – it’s literally your meal in a bowl. 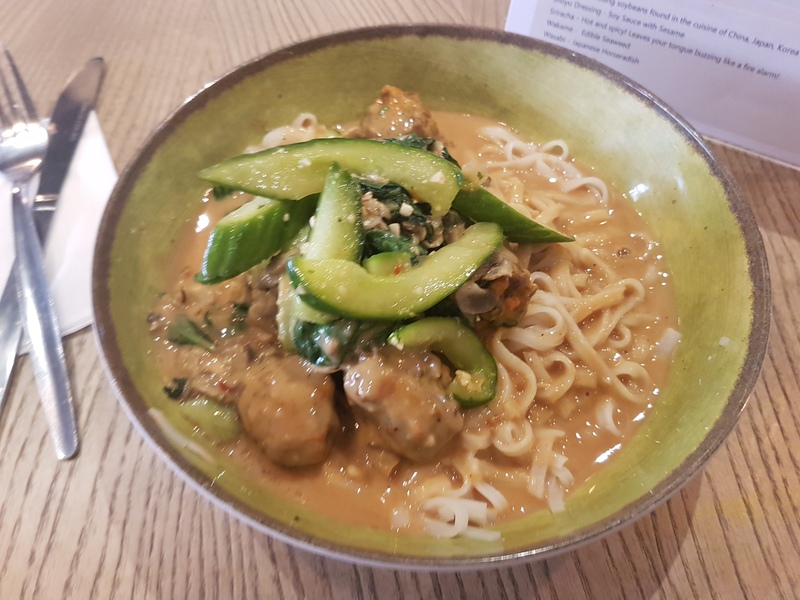 Whilst it may sound boring on paper, I can confirm my choice was full of flavour and definitely had a kick – giving a firm nod to the Asian influences across the menu. With a choice of protein bowls, salads and even healthy desserts on offer, it’s not to be missed. I opted for the Asian style satay beef meatballs on a bed of rice noodles with pak choi – all topped with a satay peanut sauce. It was filling, had loads of flavour and the there was quite a selection of choices, meaning you can get real variety in meals if you visit regularly. 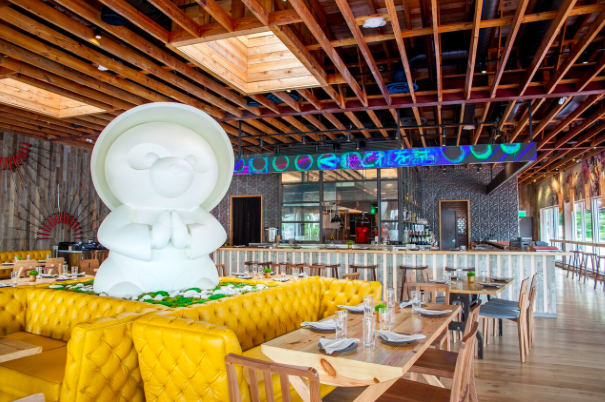 Whilst it may not look like much, the decor of the restaurant was really in keeping with the theme and very contemporary and airy. Perfect for a mate/date night or if you fancy popping in for a quick bite between shopping. Whilst I was invited along by Vincent Kitchen to review, I was really impressed and due to its central location, I will defo pop back again to try another bowl or salad from the menu. *I was invited by Vincent Kitchen for a complimentary meal, in exchange for a totally honest review.